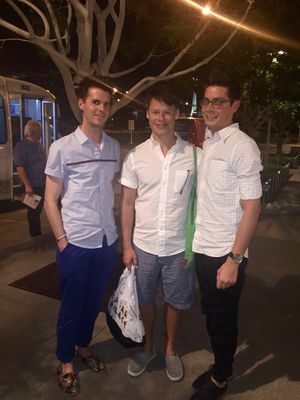 Colin Ford , who went to see #CabareTour last night in Las Vegas, took a picture with #RandyHarrison and let me post the original shot on our website!!! Thank you so much Colin, it was incredibly sweet! 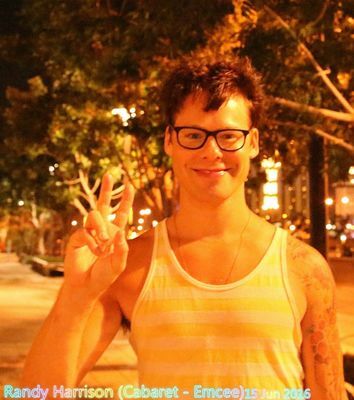 There's another festival for Photo Op: the short with #RandyHarrison has been selected to be part of the Flickers’ Rhode Island International Film Festival, which will take place on August 9-14, 2016. For information and tickets click on the image below. There's a great review about #CabaretTour and #RandyHarrison's perfomance written by Robin Leach and published on Las Vegas Sun . And we also have an article about Cabaret The Musical on the Bay Area Reporter just before the upcoming long leg of Cabaret in San Francisco. Thank you to Ifigenia for the heads up! 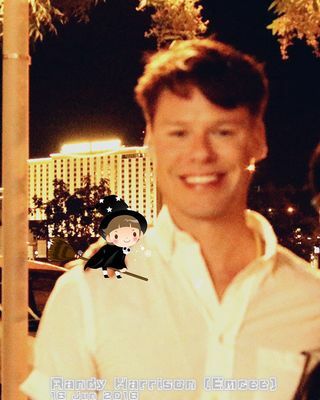 We have one more photo from our precious Wenlei , who took this picture of #RandyHarrison last night after #CabaretTour in Las Vegas. Thank you so much for sharing it Wenlei! 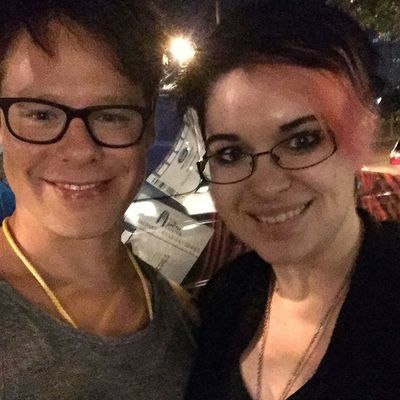 And we have the video of the interview that #RandyHarrison had this morning with Shawn Tempesta in The Morning Blend at the KTNV studios. 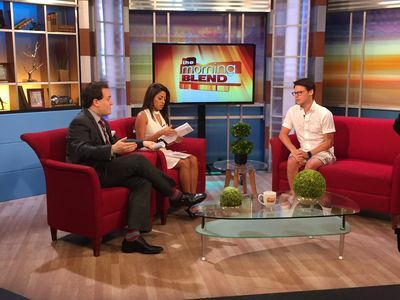 This morning #RandyHarrison was at the KTNV studios for an interview with Shawn Tempesta during The Morning Blend. 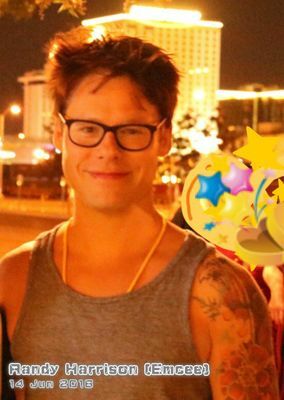 Our dear Wenlei has just posted a photo of #RandyHarrison, taken last night after #CabaretTour in Las Vegas. Thank you so much for letting us post it here, Wenlei! On the opening night Randy received some Emcee-themed cupcakes from Stephen Lowry ( Showboy Bakeshop ) who posted the photo below on his Instagram and let us share it on our website. 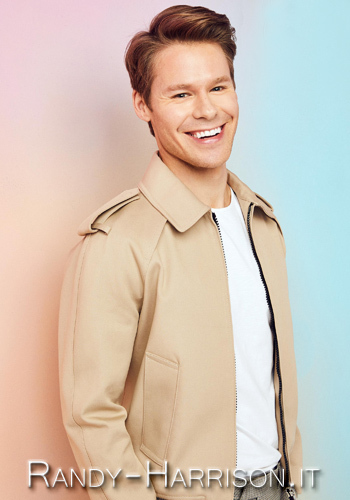 After a week break, #RandyHarrison, along with the cast of #CabaretTour, is in Las Vegas where Cabaret The Musical is scheduled at the The Smith Center for the Performing Arts from the 14th to the 19th of June 2016. We have a photo taken after last night's opening, posted by Rachel on her Instagram . Thank you for letting us share your photo on our website, Rachel! 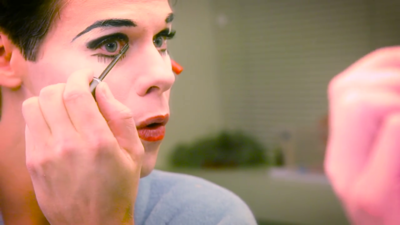 An hour ago Broadway.com published on their YOUTUBE channel a video of #RandyHarrison while transforming into the Emcee. A month ago they had already published one of Andrea Goss becoming Sally Bowles. In the almost three minutes video you can see how Randy slowly changes his look by shaving, applying foundation and painting his eyes and eyebrows and finally his lips. The preparation also involves some stretching before getting dressed in the Emcee's costume. It's amazing how much preparation there is behind the show!